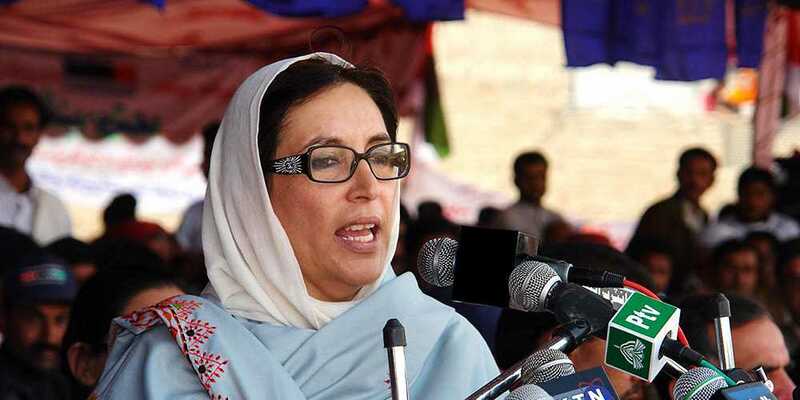 Former prime minister late Benazir Bhutto is being remembered on her 11th death anniversary on Thursday. The Pakistan Peoples Party has organised a central congregation in her hometown Garhi Khuda Bakhsh in Larkana district of Sindh. Benazir took oath as the first female prime minister of Pakistan on December 2, 1988. She was also the first woman to lead a Muslim state and twice served as the prime minister of Pakistan. The former premier was assassinated in a gun and bomb attack in Rawalpindi on December 27, 2007. The preparations of a public gathering with regard to her death anniversary lay finalised. The provincial government of Sindh announced a public holiday on account of the death anniversary of former premier. A large number of PPP leaders, activists and supporters have been arriving to pay homage to the late leader on her death anniversary. Her son Bilawal Bhutto Zardari and PPP co-chairman Asif Ali Zardari among other party leaders will be paying tribute to the former premier in their addresses with the participants at the gathering. Earlier on Wednesday, PPP chairman Bilawal Bhutto Zardari and co-chairman Asif Ali Zardari also chaired a meeting of the party's central executive committee (CEC). The participants of the meeting paid glowing tributes to Benazir Bhutto. Her sister Sanam Bhutto was also in attendance at the meeting.